Education: Very well educated...for her time-Jarod. Elizabeth Báthory was born on a family estate in Nyírbátor, Hungary, in 1560 or 1561, and spent her childhood at Ecsed Castle. Her father was George Báthory of the Ecsed branch of the family, brother of Andrew Bonaventura Báthory, who had been Voivode of Transylvania, while her mother was Anna Báthory (1539–1570), daughter of Stephen Báthory of Somlyó, another Voivode of Transylvania, who was of the Somlyó branch. Through her mother, Elizabeth was the niece of the Hungarian noble Stephen Báthory, King of the Polish-Lithuanian Commonwealth and Prince of Transylvania. As a young woman she learned Latin, German and Greek.Born into a privileged family of nobility, Elizabeth was showered and endowed with wealth, education and a stellar social position. 1. When she was 11 or 12 Elizabeth was betrothed to Ferenc Nádasdy of another aristocratic Hungarian family, but a year or two later she had a baby by a lower-order lover. Nádasdy was reported to have had him castrated and then torn to pieces by dogs. From this event she had an emotional distress which caused an uproar in her feelings inside her mind, slowly starting her way on to her later murders. This is a Nuture. 2. In seeking to divine the genesis of Elizabeth's sadistic behaviour it has been suggested that she might have been insane from childhood. 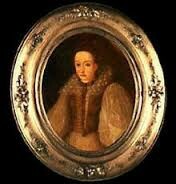 It is said that the young Elizabeth suffered from seizures accompanied by loss of control and fits of rage, which may have been caused by epilepsy, possibly stemming from inbreeding. Since the start of her life, Elizabeth experienced this internal stress already beginning her insanity. This is a Nature. 3. Although the count participated in his wife’s torture activities, it wasn’t until the death of her husband in the early 1600s that Elizabeth’s true evil came to fruition. Her husband had died of illness and in front of Elizabeth's eyes. This caused an emotional uproar inside her mind and heart which turned her into the evil self that she became. This is a Nuture. 4. In reality, Bathory began killing around the age of 20, likely too early to care about her beauty as she was considered a very beautiful woman of her time. Furthermore, the amount of blood from Bathory's victims is attributed the brutal torture she would inflict. One of her accomplices, Ilona Jo, claimed that "[Bathory] threw the girls to the ground naked and beat them so violently that one could scoop handfuls of blood from her bed" (Craft, 2009). If this is truly the case, Erzsebet Bathory clearly was not taking much care into conserving the blood she spilled in order to bathe in it. The bathing in blood myth likely contributed to the myth of the Countess being a vampire and a Satan worshiper.